One of the biggest factors that determine the premiums on car insurance in South Carolina is the type of car you drive. Is it a sports car? Does it have a souped up V8 engine? Is it among the favorites for car thieves? These factors can amount to hundreds of dollars more or less that you pay for that shiny new car. 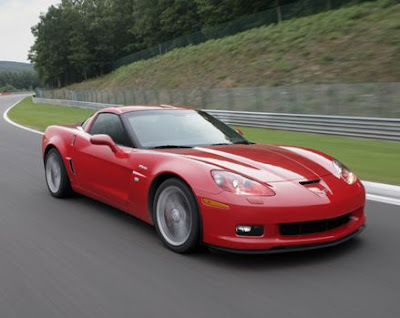 How do some cars get rated for higher premiums when they are not a Corvette or Ferrari? You might be surprised at the answer! Insurance companies often base the rates on how many claims they receive for a certain type of car. If a car model attracts a younger, more reckless type of driver, it can cause the MODEL to end up with a higher premium in the system. Likewise, a car model that attracts a more safety-minded (stodgy, perhaps) older driver may end up being one of the least expensive models for car insurance purposes. Each year the car manufacturers try to come up with a new model that catches the public's attention. When a new car is introduced, the insurance companies have no collision or replacement history to go by. So the insurance rates for the new cars will be based on the price of the vehicle. In the next 3 to 5 years, an insurance rate is accurately determined by the number of collisions, cost of body parts replacement, and even if they cause more damage to a victim vehicle during a collision. A good example of this would be the Hummer, which sits up higher and can damage another vehicle much worse. MSN Money has listed a Cadillac Escalade as a favorite among car thieves. Insurance rates are higher for this vehicle because of it. So be sure when you are buying that new car that you take into consideration how much you will be paying for your SC car insurance, and do some investigating online or elsewhere to check your chosen toy. Even if you want it bad enough to pay more for the car insurance, it's better to go into it prepared and not be surprised, especially if you've unknowingly chosen one that can be half as much with a comparable model.